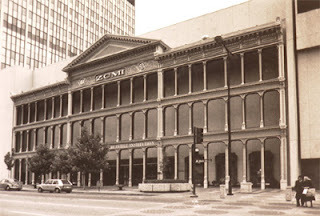 DID YOU KNOW that the first department store in the United States was ZCMI in Utah? Zions Cooperative Mercantile Institution, known as ZCMI, the "People's Store," is what one historian called America's First Department Store, and was founded in March 1868. December 1999, ZCMI was bought and is now owned and operated by Macey's. Read more about the history of ZCMI.